FIAT 500 – 60 Years On. 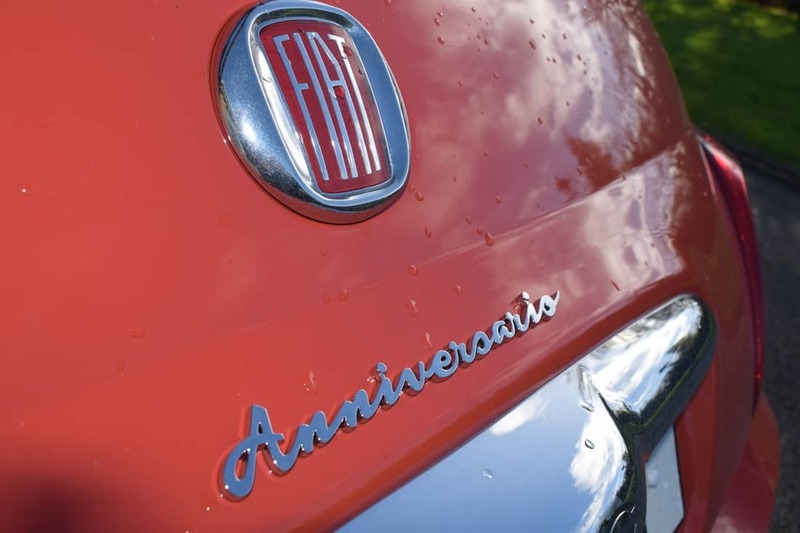 Fiat has launched the 500 Anniversario, a special edition of its iconic 500 model. Over six million Fiat 500s have been sold worldwide since the model’s introduction, then known as the Nuova 500, in 1957. Originally designed by Dante Giacosa the 500 quickly gained popularity and became one of Italy’s most recognisable motoring icons. Its initial production run lasted eighteen years before the model was discontinued in 1975. The current model 500 was relaunched in 2007 – half a century after the original launch. 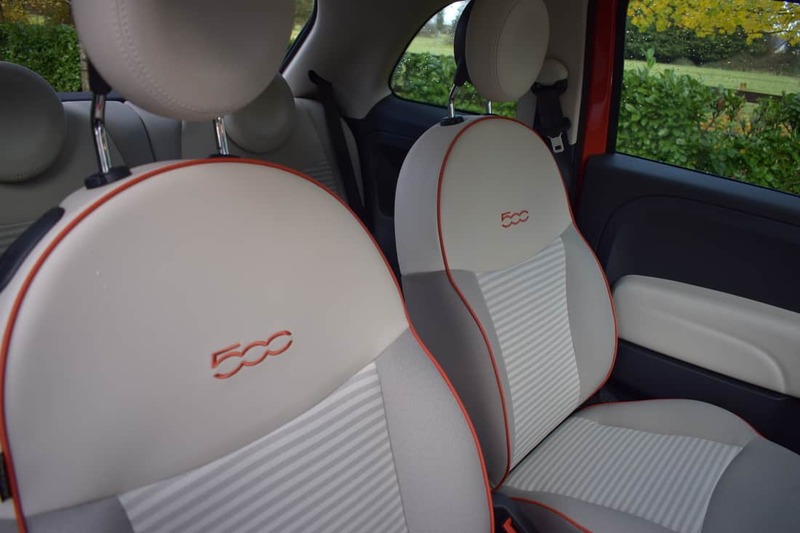 The Fiat 500 Anniversario edition features a series of styling touches that date back to 1957 when the revolutionary new small car first rolled off the Turin production line. Available as either a hatchback or a convertible, the Anniversario is available in two new retro inspired colours, either Riviera Green and Sicilia Orange and interior touches that include horizontally striped fabrics with piping and embroidered 500 logos. Exterior details include chrome accents on the bonnet and mirror caps, vintage Fiat badging, an “Anniversario” logo on the tailgate, and 16-inch vintage style alloy rims. At just 2.75m long and weighing just 479kg, the original 500 was powered by a 479cc engine that produced just 13bhp. Styling was a big selling point for the original Fiat 500 – as it is with the modern day version with its range of customisation options. However, the new Fiat 500 is 820mm longer than the original, so it has grown quite considerably in every area. 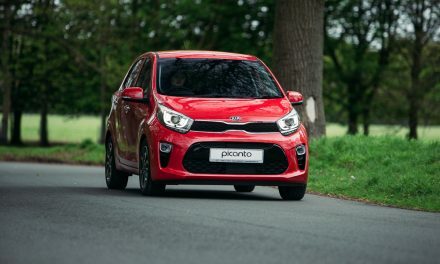 Rivals to the Fiat 500 in the crowded ‘city-car’ market include the Skoda CitiGo, VW Up!, Kia Picanto, Hyundai i10 and Ford KA+. 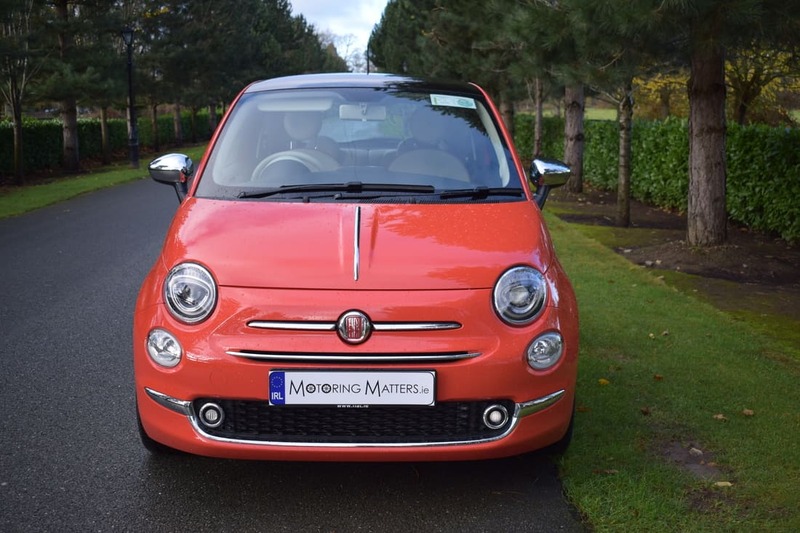 There are 6 model choices in the Fiat 500 range – Pop, Mirror, Pop Star, Lounge, Anniversario and Sport, with all models available with Fiat’s 4-cylinder 1.2-litre petrol engine which produces 69bhp and 102 Nm of torque. The 0-100km/h sprint can be completed in 12.9-seconds, leading to a top speed of 159km/h where permitted. 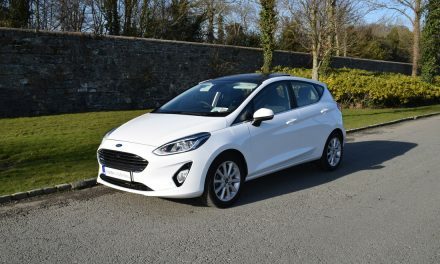 Thanks to low Co2 emissions, annual road tax is just €190 while fuel consumption as low as 4.3l/100km is achievable on an extra-urban driving cycle. 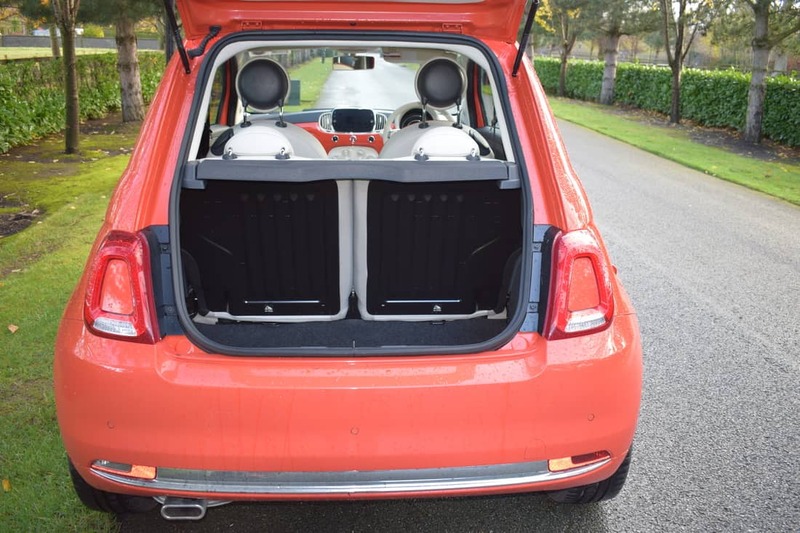 Drivers looking for a diesel option in the Fiat 500 may want to consider Fiat’s 1.3-litre MultiJet engine which produces 95bhp and 200Nm of torque. 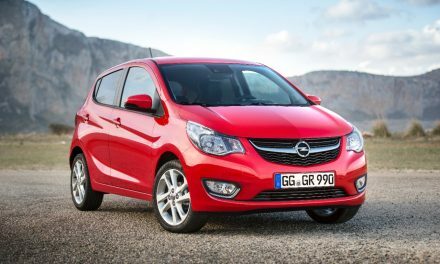 However, the diesel engine is only available in Pop Star, Lounge or Sport models. 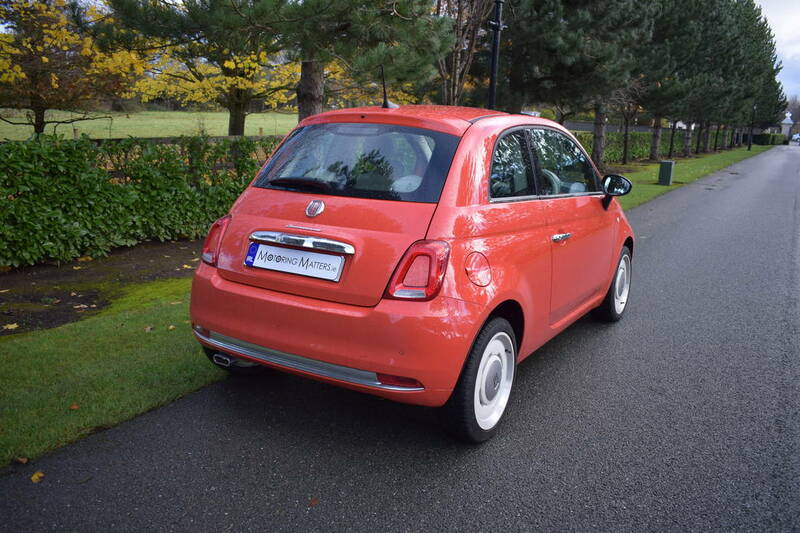 My test car was a Fiat 500 Anniversario 1.2-litre petrol, finished in Sicilia Orange for added impact. Standard equipment included a 5” touchscreen radio with Bluetooth, USB, Aux-in and Uconnect Live, 16” Vintage alloy wheels, air-conditioning, cruise control, remote central locking, electric windows & mirrors, glass sunroof, rear sensors, space saver spare wheel, chrome finished door mirrors, chrome strip on bonnet, leather steering wheel with audio controls, multiple airbags, front fog lights, start & stop system, ESP, Hill Hold, thermal windows and a tyre pressure monitoring system. I found the Fiat 500 to be easy to live with on a daily basis and parking in tight spaces is a doddle. 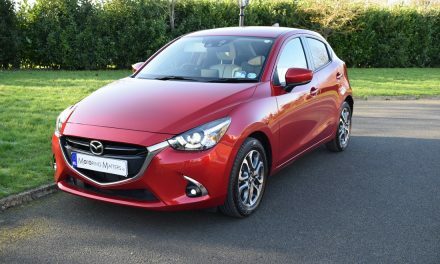 It is nippy around town and, thanks to excellent driving dynamics, is a fun car to drive. 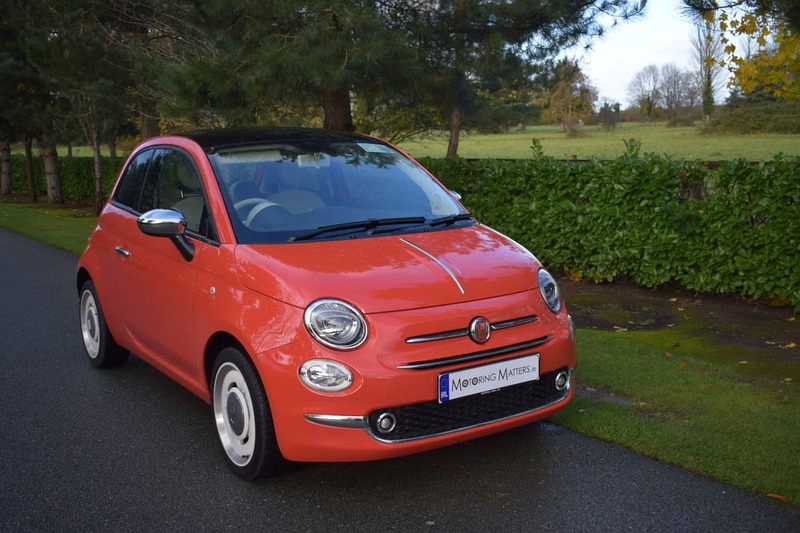 Prices for the Fiat 500 start at just €13,445, while my test car is priced at €16,695.